A double top forming an "M" is a fairly common pattern and is formed as shown above. All inputs considered if the "M" is well formed (not slanted) with even tops and legs what can we conclude? 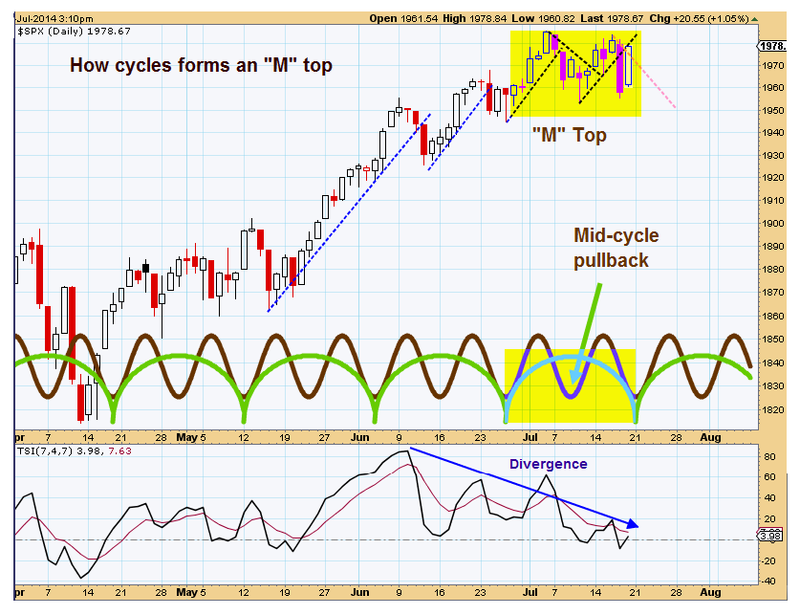 In the above chart we see the 10 TD cycle contributing most to the pattern. 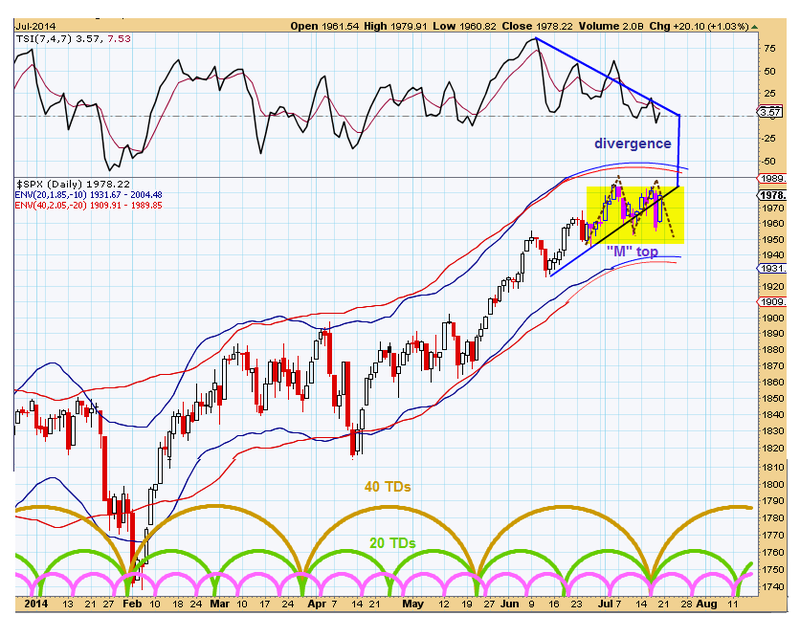 We can conclude that all cycles longer than the 10TD and 20 TD are cancelling each other out. This cancelling effect generally happens when a trend reversal is in the process of setting up. So if the pattern completes (right leg down next week) we are looking at an intermediate length trend reversal (possibly)??? ?